On Wednesday, 25 July 2018, H.S.H. Prince Albert II inaugurated, in the Bay of Monaco, the first caisson of the project for the future extension to the sea. This caisson, on which the princely monogram has been engraved, measures 27 metres in height and 28 metres in width, and weighs 10,000 tons. It was manufactured by the Bouygues Public Works company in the port of Marseilles last winter, where it was stored for a few months. This is the first of the 18 caissons which will constitute the protective belt of the Anse du Portier eco-district. 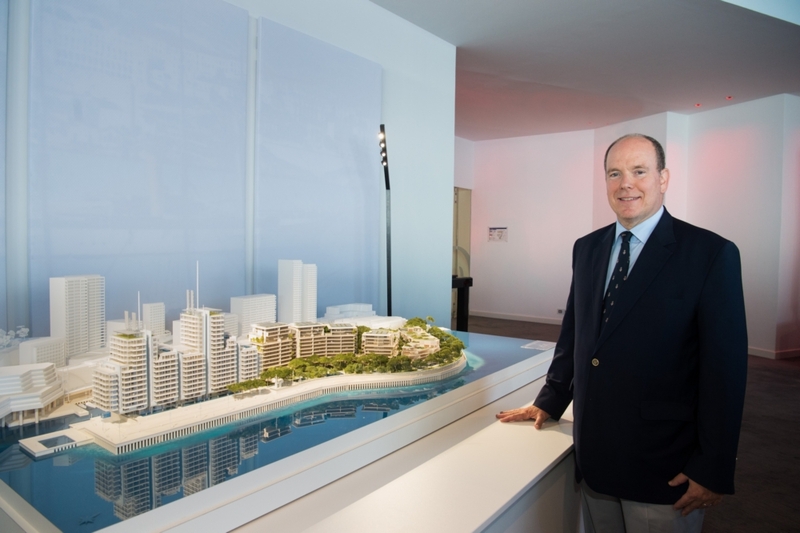 The Sovereign Prince then went to the Hotel Fairmont, where a reception had been organised during which he was able to pose in front of the model of this project, work on which is due to conclude in 2025. 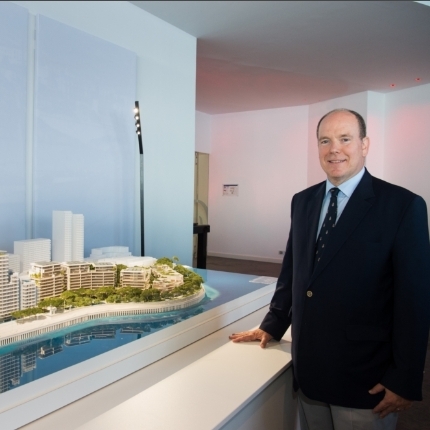 The peninsula of the Anse du Portier will thus enable the Principality to expand its territory by about 6 hectares.